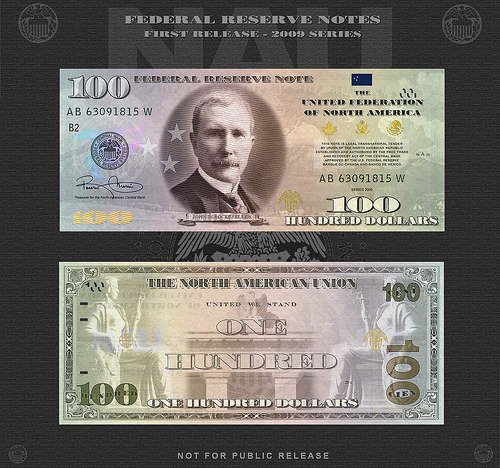 “IN THE UNITED STATES TODAY WE HAVE IN EFFECT TWO GOVERNMENTS… We have the duly constituted government… Then we have an independent, uncontrolled and uncoordinated government in the Federal Reserve System, operating the money powers reserved to Congress by the Constitution.” – Congressman Wright Patman, (former) Chairman of the House Banking Committee.. “Those that create and issue the money and credit direct the policies of government and hold in their hands the destiny of the people.” Reginald McKenna, (former) president of the Midlands Bank of England. In order to build his case, a historian must select a minuscule number of facts from the limited number that are known. If he does not have a “theory”, how does he separate important facts from unimportant ones? As Professor Stuart Crane has pointed out, this is why every book “proves” its author’s theory. But no book is objective. No book can be objective and this book (NDCC) is not objective. The information in it is true, but the book is not objective. We have carefully selected the facts to prove our case… Most of the facts that we bring out are readily verifiable at any large library. But our contention is that we have arranged these facts in the order that most accurately reflects their true significance in history. These are the facts as the Establishment does not want you to know them. Have you ever had the experience of walking into a mystery movie two-thirds of the way through? Confusing, wasn’t it? All the evidence made it look as though the butler were the murderer, but in the final scenes you find out that, surprisingly, it was the man’s wife all along. You have to stay and see the beginning of the film. Then, as all the pieces fall into place, the story makes sense. This situation is similar to one millions of Americans find themselves in today. They are confused by current happenings in the nation. They have come in as the movie, so to speak, is going into its conclusion. The earlier portion of the mystery is needed to make the whole thing understandable. (Actually, we are not really starting at the beginning, but we are going back far enough to give meaning to today’s happenings.) In order to understand the conspiracy (to usurp the constitutional right of governments to coin money so as to force these governments to borrow money with usury [interest]), it is neccesary to have some rudimentary knowledge of banking and, particularly, of international bankers. While it would be an over- simplification to ascribe the entire conspiracy to the international bankers, they nevertheless have played the key role. Think of the (world) conspiracy as a hand with one finger labeled “international banking”, others labelled “charity foundations” (i.e. Ford, Carnegie, Rockefeller Foundations, etc. ), the “anti- religion movement”, “Fabian Socialism”, and “Communism”. But it was the International Bankers of whom Professor Carroll Quigly (of the Foreign Service School at Georgetown University) was speaking when we quoted him earlier (in this book) as stating that THEIR AIM IS NOTHING LESS THAN CONTROL OF THE WORLD THROUGH FINANCE. (Professor Quigly does not see anything harmful in this(! ), only objects to the secrecy with which these aims are cloaked. Hence his book, a 1300 hundred page, 8 pound tome, Tragedy and Hope.) Where do governments get the enormous amount of money they need? Most of course comes from taxation; but governments often spend more than they are willing to tax from their citizens and so are forced to borrow. Our national (U.S.) debt is now (1974) 455 billion dollars – every cent of it borrowed at interest from somewhere. The public is led to believe that our government borrows from “the people” through savings bonds. Actually, however, only a small percentage of the national debt is held by individuals in this form. Most government bonds, except those held by the government itself through its trust funds, are held by vast banking firms known as international banks . For centuries there has been big money to be made by international bankers in the financing of governments and kings. Such operators, however, are faced with certain thorny problems. We know that smaller banking operations protect themselves by taking collateral, but what kind of collateral can you get from a government or a king?. What if the banker comes to collect and the king says, “Off with his head!” The process through which one collects a debt from a government or a monarch is not a subject taught in the business schools of our universities, and most of us – having never been in the business of lending money to kings – have not given the problem much thought. But there is a king- financing business, and to those who can ensure collection it is lucrative indeed. Economics professor Stuart Crane notes that there are two means used to collateralize loans to governments and kings. Whenever a business firm borrows big money its creditor obtains a voice in management to protect his investment. Like a business, no government can borrow big money unless willing to surrender to the creditor some measure of sovereignty as collateral. Certainly, international bankers who have loaned hundreds of billions of dollars to governments around the world command considerable influence in the policies of such goverments. But the ultimate advantage that the creditor has over the government or ruler is the threat that if the borrower steps out of line the banker can finance an enemy or rival and can even create an enemy by such means. The Jewish members of the conspiracy have used an organization called the Anti-Defamation League (A.D.L.) as an instrument to try to convince everyone that any mention of the Rothschilds or their allies is an attack on the Jewish people. In this way they have stifled almost all honest scholarship on international bankers and made the subject taboo in the universities. Any individual or book exploring this subject is immediately attacked by hundreds of A.D.L. committees all over the country. The A.D.L. has never let truth or logic interfere with its highly professional smear jobs… But actually, nobody has more of a right than the Jewish people to take just vengeance on the Rothschilds and their clique. The Jewish Warburgs (bankers), part of the Rothschild empire, helped finance Adolph Hitler. There were few, if any, Rothschilds or Warburgs in the Nazi concentration camps! They sat out the war in luxurious hotels in Paris or emigrated to the United States or England. As a group, the Jewish people have suffered most at the hands of these power-seekers. A Rothschild has much more in common with a Rockefeller than with a Jewish tailor from Budapest or the Bronx. Since the keystone of the international banking empires has been government bonds, IT HAS BEEN IN THE INTEREST OF THESE INTERNATIONAL FINANCIERS TO ENCOURAGE GOVERNMENT DEBT. The higher the debt, the more the interest on the debt. Nothing drives government deeply into debt like a war (in 1935, before the out- break of World War Two, total U.S. public debt was $28 billion 708 million, or $225.55 per capita. In 1940, before the attack on Pearl Harbour, the public debt was $42 billion 968 million, or $325.23 per capita. But, by 1945, with the cessation of hostilities, it was $258 billion 682 million, or $1,848.60 per capita! -ed. ); and it has not been an uncommon practice among the international bankers to finance both sides of the bloodiest military conflicts! For example, during the American Civil War the North was financed by the Rothchilds through their American agent, August Belmont, and the American South through the Erlangers, Rothschild relatives.